AESSEAL®, one of Britain’s most valuable engineering businesses, has reported a significant 12.5 per cent rise in sales in 2017, as it benefitted from the weakness of the pound. The Rotherham-based company designs and makes seals for a wide range of global industries including oil and gas, food, water, mining and pharmaceuticals. Group turnover rose 12.5 per cent to £170.6m in the year to December 31st, 2017, with organic sales growth of 6.75 per cent when adjusted for acquisitions and currency fluctuations. Group net assets rose to £103.5m, a rise of 14.2 per cent from 2016, and the group held a positive cash balance of £17.4m at year end, after increasing capital expenditure – which included investment of £6.8m in additional 9 and 11 axis machining capacity. Founder and managing director Chris Rea OBE said: “Despite a climate of continuing political and economic uncertainty, the AES group has delivered a strong result for 2017 and is confident of progressing positively this year and beyond. 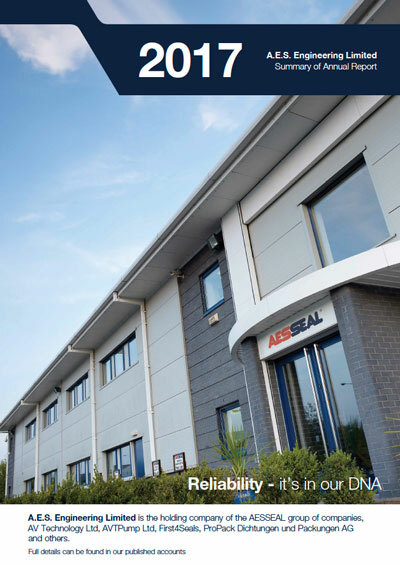 AESSEAL® has recorded more than three decades of near constant growth under Mr Rea’s leadership and continues to innovate in order to remain ahead of competitors and deliver industry leading customer service levels. Mr Rea added: “Being located in South Yorkshire plays a key role in the success of the business. The steel industry heritage in the area means we have a skilled labour force. AESSEAL® has recently reaffirmed its position as an industry leader and training innovator with success at two prestigious awards ceremonies and a Lifetime Achievement awards for Chris Rea from the British Pump Manufacturers’ Association. The company received the award for International Trade at TheBusinessDesk.com’s Yorkshire Business Masters Awards 2018 and the Manufacturing Apprenticeship/Training Award in the Made in Sheffield (MiS) Awards, which celebrate excellence in manufacturing across the city region.